Ahmet Suat Yıldız received his B.S degree from the Department of Mechanical Engineering at Çukurova University and his M.S. degree in Automotive Engineering at University of Applied Sciences Ingolstadt. His graduate research was based on "Numerical Investigation of Different Positions for Evaluating the Dummy Injury Criteria in Front Crash. 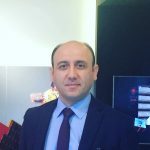 Currently, he is a PhD student at Gazi University and his thesis is focused on metallurgical and mechanical investigation of wire arc additive manufacturing parts. His research areas thermo mechanical engineering, material science and wire arc additive manufacturing. 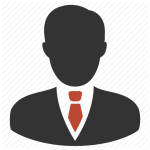 He is working as a senior manufacturing engineer at FNSS Defense Systems. Ayşe Kübra Yıldız received her B.S degree from the Department of Mechanical Engineering (2012 ) and also Department of Civil Engineering (2011) at Gazi University and her M.S. degree in Department of Mechanical Engineering at Gazi University (2015). Her graduate research was based on Wear Resıstance of Composite Coatings of Chromıum and Nanodıamonds on Sintered Ferrous Materials (Tubitak Project). 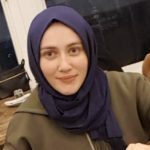 Currently, she is a PhD student at Gazi University and her thesis is focused Mathematical and Numerical Modelling of Laser Beam and Super Alloy Metal Powder Interaction in Selective Laser Melting. 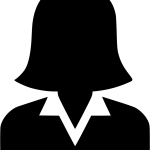 Her research areas: Additive Manufacturing, Selective Laser Melting (SLM), Mathematical and Numerical Modelling. Mohammad Mazen Alhakeem received his B.S degree from the Department of Mechanical Design Engineering at Damascus University (2007) and his M.S. Mechanical Design Engineering at Damascus University(2014). His graduate research was based on " Develop an automated system to measure Poisson's ratio for brittle materials”. 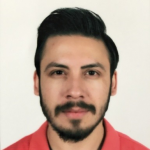 Currently, he is a PhD student at Gazi University and his thesis is focused on deposition path planning for wire feed additive manufacturing processes. His research areas computer numerical controlled machines and wire arc additive manufacturing. Thesis subject: Investigation of Laser Polishing on surfaces of parts produced by Additive Manufacturing. Since AM products have pretty high surface roughness, it has been focused to reduce surface roughness and to increase fatigue lifetime of AM products by applying laser polishing process. Thesis Subject: Rapid Prototyping/Manufacturing of Product Assemblies. In order to achieve the principles and features of AM logic, subject of ‘’investigation and determination the amount of support material usage in the 3D printing process’’ had been studied. Research areas: Additive Manufacturing, Laser Polishing, Microstructures investigation of AM products. 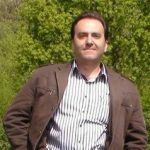 Mehmet Mollamahmutoğlu received his B.S degree from the Department of Mechanical Engineering at Gazi University (2009) and his M.S. degree in Mechanical and Aerospace Engineering at Oklahoma State University (2012). His graduate research was based on hydrodynamic and thermal behaviour of two-phase flow in inclined pipes. 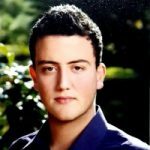 Currently, he is a PhD student at Gazi University and his thesis is focused on melt pool modeling, residual stresses and microstructures in Selective Laser Melting Process.His research areas computational heat transfer, additive manufacturing technologies, modeling and algorithm development. He is working as a research engineer at Gazi University. Ebubekir DOĞAN received his B.S degree from the Department of Mechanical Engineering at Cumhuriyet University (2007) and his M.S degree in Mechanical Engineering at Cumhuriyet University (2012).His graduate research was based on the effect of box beam elements on stress dıstrıbutıon for the brıdge crane.Currently, he is a PhD student at Gazi University and his thesis is focused on additive manufacturing.His research areas stress distribution with finite element method, modeling development, occupational health and safety, additive manufacturing technologies.He is working as a research engineer at Gazi University. Mehmet Özakıncı received his B.S. degree from the Department of Mechanical Engineering at Ege University and his MSc degree from the Department of Mechanical Dynamics, Vibration and Acoustics at İstanbul Technical Universtiy. His graduate research was "Vibration Analysis of Laminated Composite Plates". 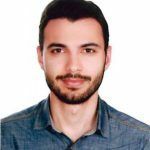 Currently, he is a PhD student at Gazi University and his thesis is focused on Ultrasonic Additive Manufacturing. 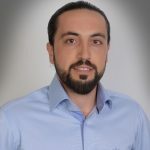 He has private sector experience from Vestel Home Appliance Company as Resarch Engineer (5 years), from Hacettepe Technopolis as Project Supervisor (1 year) and from Turktraktor as Lead Design Engineer (6 years). 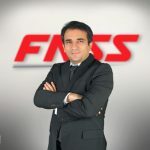 He is currenty working at FNSS Defence Systems as Lead Design Engineer. Mustafa Kaş received his B.S degree from the Department of Mechanical Engineering at Gaziantep University (2016). His undergraduate research was assembly of two seat experimental plane at aviation area. He is a M.S student at the Department of Mechanical Engineering at Gazi University. His thesis is focused on the topology optimization designs with cellular structures for additive manufacturing. His research areas additive manufacturing, topology optimization and generative design. He is working as a research assistant at Mechanical Engineering at Gazi University. M.Burak Önal received his BS degree from Universitry of Gaziantep. 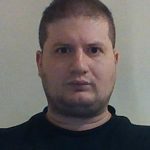 He worked as a lab assistant of the Mechatronics laboratory, Dynamic System and Control laboratory, Experimental Design Laboratory, and Scientific Research Center Community during undergraduate education in Gaziantep University. He is currently working about Simulation of melt pool modelling and Thermal analysis in Selective Laser Melting Process. 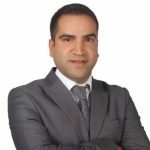 His research areas: Advanced Manufacturing Technology, System Dynamics and Control, System Design for Poduction and Welding process. He is working as a research assistant in deparment of Mechatronics Engineering at University of Turkish Aeronautical Association. Mehmet Emin BADIR received his B.S degree from the Department of Mechanical Engineering at Gazi University in 2014. His undergraduate research was examination of flow characteristics of air interacted with the quadrocopter propellers (nowadays usually known as drone). He is a M.S student at the Department of Mechanical Engineering at Gazi University. His thesis is focused on Design for Additive Manufacturing for aerospace parts, especially for those will be used in space environment like satellites. His research areas are metal additive manufacturing, additive manufacturing for vacuum environment and HIP and topology optimization. He is working as Researcher at TÜBİTAK Uzay, Space Technologies Research Institute. Muhammed Fatih Altınok received his B.S degree from the Department of Mechanical Engineering at Bilkent University (2014). His undergraduate research was a Smart Chair designed in order to help office worker to maintain proper body posture . 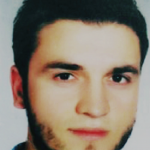 He is a M.S student at the Department of Mechanical Engineering at Gazi University. His thesis is focused on the mathematical simulatiın of melt for Electron Beam Melting. His research areas additive manufacturing, mathematical modelling and microstructure of EBM ed parts. He is working as a research engineer at Gazi University.